A typical deployment of a package with Octopus gives you the ability to replace markup in template file. This is great when you control the source package and can embed the required markup statements into configuration files, but what happens when you are deploying a package you don't control? In this blog post we'll take a look at how to use some simple scripting to update the web.xml file in a Java web application sourced from Maven central and which we don't have any control over. Start by grabbing a copy of Octopus Deploy 4.1 from the downloads page. Version 4.1 includes the ability to integrate with Maven repos. You can find more information on installing Octopus from the documentation. 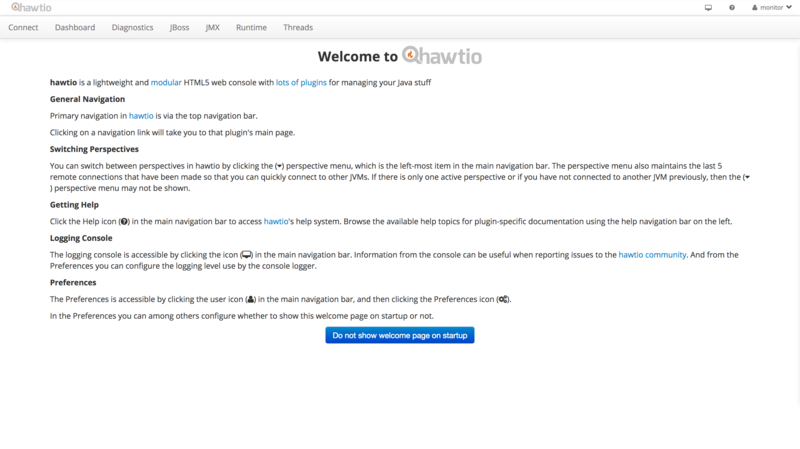 For this example we'll be installing the Hawtio management application to WildFly. In particular we'll be installing the io.hawt:hawtio-no-slf4j package. So download a copy of WildFly 11, and configure it with an admin user that can be used by Octopus. The next step is to setup Maven central as an external feed. You can refer to the documentation for more details, or this blog post. We'll be updating the Hawtio WEB-INF/web.xml file during deployment to enable authentication. But before we do this, WildFly needs to be configured with the credentials that Hawtio users will log in with. Run the bin/add-user.sh (for Linux and Mac) or bin\add-user.bat (for Windows) script to add a new Application User to the admin group. In the example below we have created a user called monitor. We can deploy Hawtio using the Deploy to WildFly or EAP step, selecting the external Maven feed, and deploying the package io.hawt:hawtio-no-slf4j. During deployment we want to update three <env-entry-value> elements in the web.xml file. These values configure the hawtio/authenticationEnabled, hawtio/role and hawtio/realm <env-entry> settings. The default values are shown below. We want the <env-entry-value> for hawtio/authenticationEnabled to be true, hawtio/role to be admin (the same group that we added the user to with the add-user script), and hawtio/realm to jboss-web-policy. jboss-web-policy is a default realm configured in WildFly and JBoss EAP which defers to the Application User credentials configured by the add-user script . You can read the documentation for more details. To make these changes we need to enable the Custom deployment scripts feature. We'll use a C# Pre-Deployment Script to update the web.xml file before it is repacked and deployed to WildFly. The script loads the web.xml file and uses some XPath statements to find the elements that need to be updated. The XML file is then saved, and the updated file will be repacked and deployed. The XPath statements avoid the problems associated with namespaces by referencing elements as *[local-name()='env-entry']. For some reason there is an old version of Hawtio published to Maven central that has the version 2.0.0. The latest version of Hawtio is actually 1.5.6. Octopus will by default try to deploy the latest version, but in this case the version with the largest version number is not the latest version. 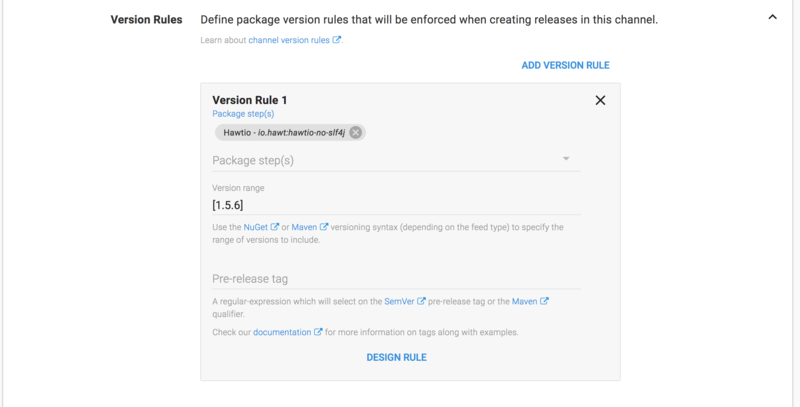 To work around this, we can create a channel rule that forces Octopus to deploy version 1.5.6. With the Hawtio user configured in WildFly and the web.xml file being updated to require authentication, we can complete the deployment and check the results by opening http://server:8080/hawtio. You will be presented with the login page. 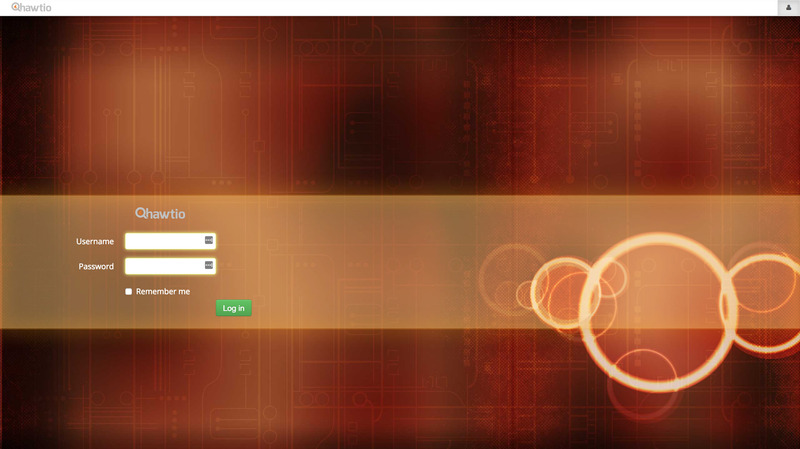 Once logged in using the monitor user we created earlier, the welcome page will be displayed. With some simple C# scripting we can make whatever changes are required to XML files that we don't otherwise control. This is an example of the powerful customizations that can be applied to Java applications when being deployed by Octopus.